I am very excited that Cindy is a part of the executive team at Accumen, from my time with her at Accenture I know her ability to be an extraordinary leader and strategic marketer. Accumen, a healthcare transformation company, announced that Cindy Judd has been appointed as Accumen’s new Chief Officer of Marketing and Communications. In this role, Judd will be responsible for creating, building and implementing marketing and branding efforts that will assist Accumen in profoundly impacting healthcare. In her more than 25 years of professional services marketing experience, Judd has built marketing programs from the ground up, leading to highly differentiated brands and the growth of the business by her ground breaking work of linking marketing to sales. In these roles, Judd developed and implemented a number of highly regarded programs and partnerships that shaped her work’s global growth strategy, client targets and business services. Judd has extensive experience as a white space developer, successfully navigating the ever-changing, complex, ecosystem. 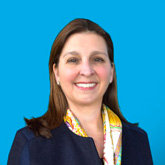 Judd, who resides in Chicago, joins Accumen from Accenture, a global management consulting, technology services and outsourcing company where she served in a variety of corporate, lines of business and Industry roles, as Managing Director and Group CMO. Judd’s experience also includes serving as a manager in the White House Press office. “I’m excited to be part of a leadership team and organization committed to profoundly impacting healthcare. Accumen has a value proposition in partnering with health systems to improve cost, quality, and service for a critical component in the care continuum, laboratory testing, which makes them stand out as a transformation partner,” said Judd. Accumen is a healthcare transformation company. Using a proven blueprint, innovative customized approach and proprietary technology, Accumen partners with health systems to set new standards of performance in the clinical lab- performance that drives higher quality, better service and unprecedented value. Accumen delivers proven results in Clinical Laboratory Operations and Patient Blood Management with solutions that are designed to help clients create healthier labs, healthier hospitals and ultimately, healthier communities. Find more information at http://www.accumen.com.